“The accumulation of all powers, legislative, executive and judicia[l] in the same hands, whether of one, a few, or many, and whether hereditary, self–appointed, or elective, may justly be pronounced the very definition of tyranny” (James Madison, Federalist No. 51, 1788). James Madison theorized that as it is the Constitution that grants each branch its power, honorable ambition that ultimately serves the highest interests of the people could work to maintain the separation. The Founding Fathers were well-acquainted with a long-held tenet of government: the accumulation of power by a single person or body of government is the greatest threat to liberty. In fact, a celebrated feature of the Constitution, the separation of powers doctrine, developed over the course of many centuries. As early as 350 B.C., Greek philosopher Aristotle observed in the Politics that every government, no matter its form, performed three distinct functions: “the deliberative, the magisterial, and the judicative.” In modern terminology these activities correlate, respectively, to the legislative (law-making), executive (law-enforcing) and judicial (law interpretation) functions of government. While Aristotle identified these basic powers common to all governments, he did not necessarily suggest that they should be exercised by entirely different branches. “When the legislative and executive powers are united in the same person, or in the same body of magistrates, there can be no liberty… Again, there is no liberty, if the judiciary power be not separated from the legislative and executive. Were it joined with the legislative, the life and liberty of the subject would be exposed to arbitrary control; for the judge would then be the legislator. Were it joined to the executive power, the judge might behave with violence and oppression. There would be an end to everything, were the same man, or the same body, whether of the nobles or of the people, to exercise those three powers, that of enacting laws, that of executing the public resolutions, and of trying the causes of individuals” (Baron de Montesquieu, Spirit of Laws, 1748). 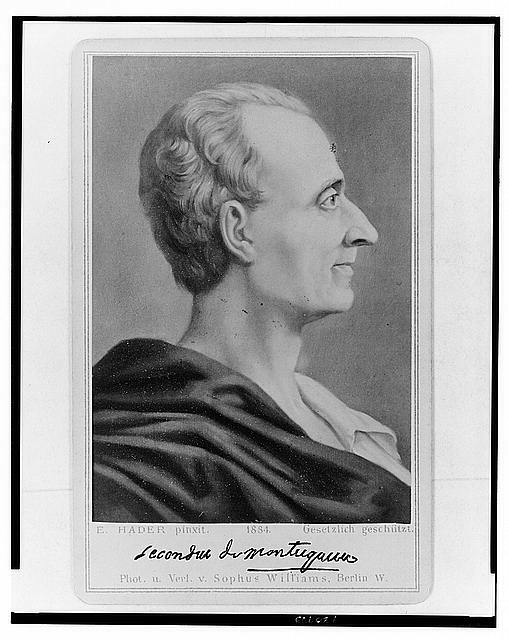 During the ratification debates from 1787 to 1788, some critics charged that upon close inspection the separation of powers in Articles I-III of the Constitution were not as complete as Montesquieu appeared to advocate and would tend toward an accumulation of power in one branch or another over time. The president, for example, has the power to accept or reject a bill duly passed by Congress, a seemingly legislative power. For its part, the Senate may approve or reject a presidential appointment to his own branch, a seemingly executive power. “[Montesquieu] did not mean that these [branches] ought to have no partial agency in, or no control over, the acts of each other. His meaning…can amount to no more than this, that where the whole power of one [branch] is exercised by the hands that hold the whole power of another, the fundamental principles of a free constitution are subverted. [T]here is not a single instance in which the several [branches] of power have been kept absolutely separate and distinct” (James Madison, Federalist No. 47, 1788). The French philosopher Baron de Montesquieu advocated three distinct and separate branches in which the general powers of government should be lodged. Implicit in Madison’s argument was an interesting challenge to the very doctrine of separation of powers: what will prevent the accumulation of power in the absence of pure separation? The answer was to be found in a unique feature of the Constitution: the pairing of separated powers with an intricate system of checks and balances designed to give each branch fortifications against encroachments by the others. The “Madisonian Model,” as it is now generally called, gave genuine and practical life to both the observation of Aristotle and the vision of Montesquieu. At the heart of the Madisonian Model is ambition. A desire for power, influence, and authority is embedded deeply in human nature. For many people, the very word “ambition” smacks of greed, corruption, or a win-at-all-cost mentality. “The great security against a gradual concentration of the several powers in the same [branch], consists in giving to those who administer each [branch], the necessary constitutional means, and personal motives, to resist encroachments of the others…Ambition must be made to counteract ambition. The interest of the man must be connected with the constitutional rights of the place” (James Madison, Federalist No. 51, 1788). In our system of separated powers, each branch of government is not only given a finite amount of power and authority but arrives at it through entirely different modes of election. 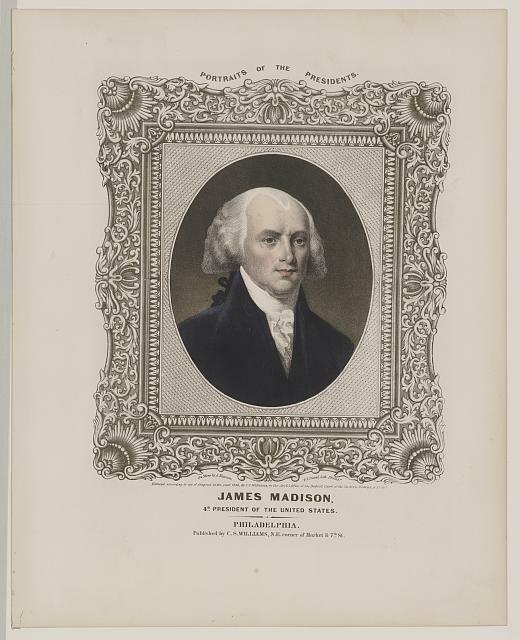 Madison theorized that as it is the Constitution that grants each branch its power, honorable ambition that ultimately serves the highest interests of the people could work to maintain the separation. In other words, since Congress is not dependent on the presidency or the courts for either its authority or its election to office, members will jealously guard its power from encroachments by the other two branches and vice versa. For Madison, this organization of powers answered the great challenge of framing a limited government of separated powers: “first enabl[ing] the government to control the governed…and in the next place, obling[ing] it to control itself” (James Madison, Federalist No. 51, 1788). What does Madison’s theory look like in practice? While it is the legislative branch that makes law, the president may check Congress by vetoing bills Congress has passed, preventing them from being enacted. In turn, Congress may enact a law over the president’s objection by overriding his veto with a vote of two-thirds of both the House and Senate. The Supreme Court can then check both branches by declaring a law unconstitutional (known as judicial review), but the Supreme Court itself is checked by virtue of the fact the president and Senate appoint and approve, respectively, members of the Court. Furthermore, both the president and federal judges are subject to impeachment by Congress for “treason, bribery, or other high crimes and misdemeanors” (United States Constitution: Article II, Section 4). The President may check Congress by vetoing bills Congress has passed. Congress may override the president's veto with a vote of two-thirds of both Houses. The Supreme Court can then check both branches by declaring a law unconstitutional. By and large, Madison’s model remains constitutionally intact, but many people wonder if our system still balances power, in reality and in practice, to the extent that he envisioned. Our checks and balances system reflects an understanding about republican government, held by many Founders, that the legislative branch should be the superior branch and, therefore, most in need of restraint. They reasoned that this is the case because “We the People” govern ourselves through the laws we give ourselves through our elected representatives in the legislative branch. “The legislative [branch] derives superiority… [i]ts constitutional powers [are] more extensive, and less susceptible to precise limits… [it] is not possible to give each [branch] an equal [number of checks on the other branches]” (James Madison, Federalist No. 48, 1788). Some observers maintain that this conception of the legislative as the predominant branch is obsolete in modern times. The executive and judicial branches have expanded their powers beyond the Founders’ expectations over time (i.e. executive orders, the role of the Supreme Court as the arbiter of laws at every level, not just the federal level.) Is Madison’s assumption of legislative superiority true today? If you were asked to pick a branch to describe as “most powerful” would your answer mirror Madison’s? Despite disagreement as to how well it has worked, one characteristic of the checks and balances system cannot be denied: it encourages constant tension and conflict between the branches. That conflict, however, is frequently beneficial, and our Constitution smiles upon it. Which of the following political thinkers contributed to the development of the principle of separation of powers as reflected in the United States Constitution? Which statement best reflects James Madison’s argument about separation of powers? 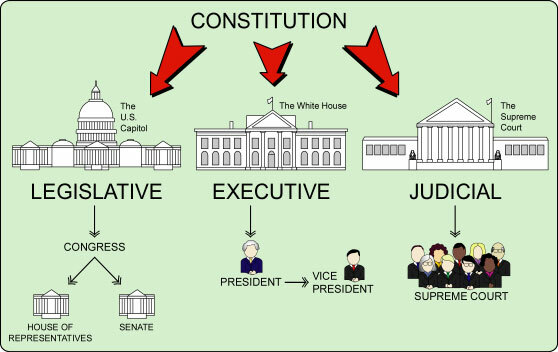 The powers delegated to the legislative, executive, and judicial branches of government should be completely separated from one another. Powers should be shared between branches so that each branch serves as a watchdog over the others. Ambition, as a harmful feature of human nature, must be eliminated in order to protect liberty through separation of powers. Separation of powers provided the only remedy for a dangerous accumulation of power in the hands of an elective body. According to the Madisonian Model, which branch of government did the Founders expect to be the predominant branch?